Established in 1996, Visual Management Systems Ltd. is one of the UK's leading providers of integrated IP CCTV and PSIM (Physical Security Information Management) systems including hardware, software and video wall applications. 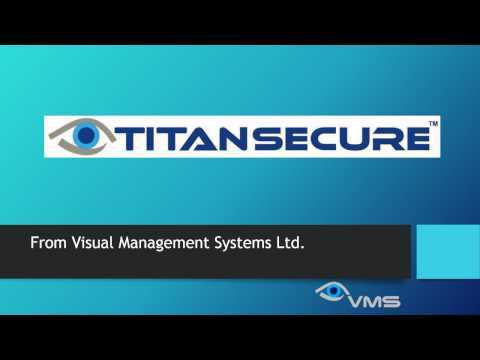 The flagship product is TITAN VISION, an Integrated Security Management suite which delivers complete situation awareness, integration of all security subsystems, unified configuration across the network, programmable logic for automating response, workflow management to guide user response, and complete audit, reporting and forensic tools. Our customers include: airports, military bases, museums, city centres, national borders, oil and gas assets and critical national infrastructure. The speakers from Visual Management Systems Ltd. (Stand SE150) share their expertise and knowledge during The Security Event seminar programme. It is critically important that you do not leave the back-door open to hackers when deploying surveillance solutions that are not up to the task of reducing or removing this threat of attack! Join the TITAN team at The Security Event at the NEC Birmingham Booth SE150, between 9 - 11 April 2019 for a demonstration and explanation. Visual Management System Limited's experts to present seminars on critical subjects including the value of Facial Recognition and how to combat Cyber attack on your network based security system. Following the recent “ITV NEWS at TEN” report concerning the effectiveness of Facial Recognition, the comments made by the reporter Joel Hills, Business and Economics Editor for ITV News and the President of Microsoft Brad Smith, Visual Management Systems Ltd. hits back to dispel the myths that Automatic Facial Recognition cannot identify women or non-white ethnic groups.